I may have found my secret weapon to looking awake, fresh and stress-free. I've been using this bad boy for a month now and I have no bad thing to say about it considering I was so sceptical at first. I was in the impression that it's just a waste of money - for some reason I don't know! Then it won the Cleo beauty awards then I was intrigued but it wasn't enough for me to raid my local Priceline to get it. It took me a while to actually purchase one, or in any makeup junkie's philosophy, it wasn't a priority and by priority I mean it wasn't shiny enough to get my full attention. But when a newer version of it came out, I was sold. Lo and behold, my new secret weapon! The original version of this one was only targeted to combat dark circles and tired eyes hence my lack of enthusiasm in purchasing it. But this new formula is now also a concelear + treatment and I think it's one of those affordable fantastic ideas put in the beauty market. I was inlove on the first week that I've tried it and I've received so many compliments about how "rested" I look like (it could be that I have great friends too.. haha). Star ingredients consist of caffeine and lemon extract. The former is known for its anti-inflammatory and anti-oxidants properties and the latter is known for its (subtle) bleaching effect and that to me is a winner! 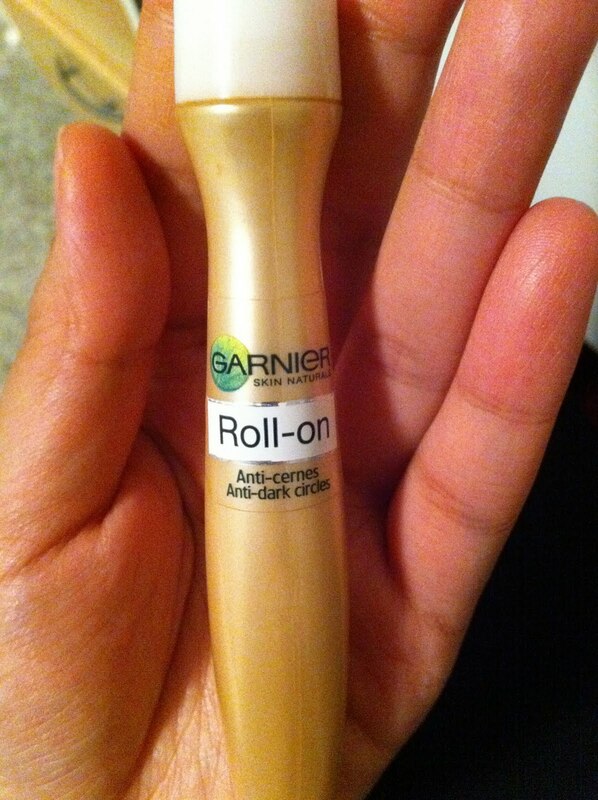 it's a roll on with a metal ball as the applicator which is cold-to-touch when you apply the product and in my opinion it helps in waking your skin up under the eyes (similar when you wash your face with cold water...*wink*). In a more convincing reason, the metal roller ball's coldness helps with the de-puffing the puffiness under your eyes because the cold helps drain the fluid build-up. long lasting although I don't really work for long hours, max is 8hrs a day but still this stays put without the need for me to re-apply. 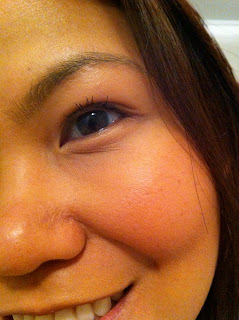 Here's how I look like before applying it. The sad looking eyes was just to give emphasis on the tired looking eyes.. hahaha (I like a bit acting once in a while). Voila! After foundation and powder to set! I would definitely recommend this product. I am sure it will be different results for everyone but it's worth giving it a go. Garnier products are known for it's natural ingredients and normally all fruit based. 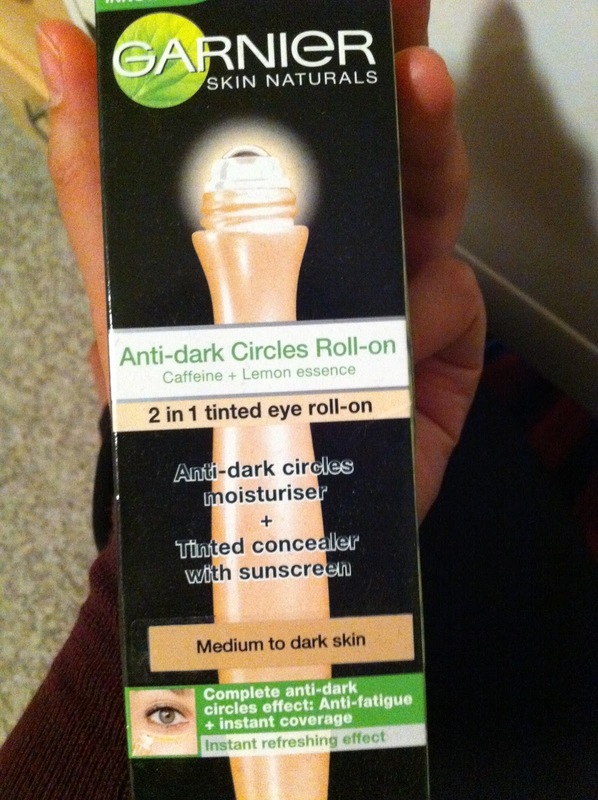 This sells around AU$17.00 at Priceline (at least that's how much I paid, it could on sale when I bought it). I bought this recently too and love it ALOT!!! Iim so gonna try this!